Giant Beef Hybrid Tomato | Gurney's Seed & Nursery Co.
VFFN-70 days. Enjoy rich, old-fashioned, true tomato taste with our improved version of Big Beef. 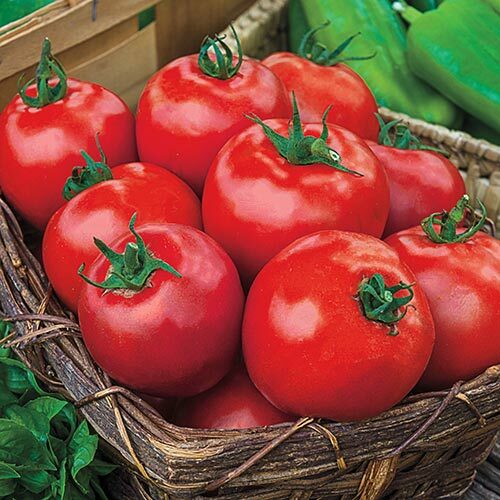 Sure to become a home garden favorite, Giant Beef offers larger yields of big 12- to 16-oz. fruit that are resistant to cracking and early blight. Indeterminate. Fruit12 to 16 oz. fruits. CommentsEnjoy rich, old-fashioned, true tomato taste with our improved version of Big Beef. Sure to become a home garden favorite, Giant Beef offers larger yields of big 12- to 16-oz. fruit that are resistant to cracking and early blight. Indeterminate.